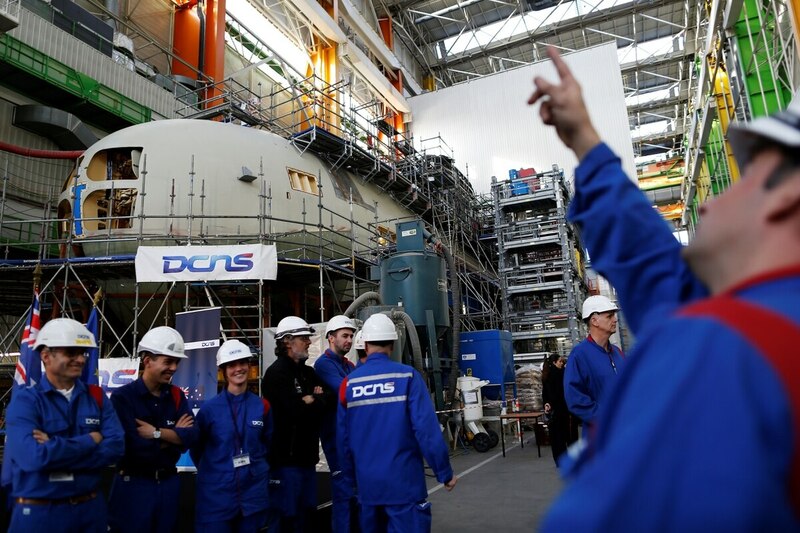 PARIS – Norway may have picked on Friday Germany and ThyssenKrupp Marine Systems for a fiercely fought submarine order, but French archrival DCNS is waiting in the wings if a deal with Berlin fails to materialize. "We remain at Norway's disposal to re-engage the discussion, especially if the cooperation planned with the German government would not reach an agreement," DCNS said in a statement following Olso's selection of Germany on a planned joint purchase of the type 212 boat from TKMS. The French naval shipbuilder said it regretted, but accepted, the Norwegian decision. DCNS claimed its offer, based on the Scorpene diesel-electric attack submarine, had better technology. "We remain convinced that our offer was superior, in particular in the anti-submarine warfare area, crucial for operations and patrols in the High North," DCNS said. In the fierce competition between the two remaining bidders on a submarine deal, Germany's TKMS beat out France's DCNS. DCNS is majority owned by the government, with Thales holding 35 percent. French newspapers Le Monde and La Tribune reported Germany had helped the TKMS offer by ordering two of the class 212 boat for the Germany Navy, so lowering the unit cost of the attack submarine. The Norwegian deal was worth €4 billion ($4.3 billion), both papers said. Olso made that selection after a series of rival presentations last year from DCNS and TKMS, cutting short a tender which had previously been expected to take up most of this year. Norway will open final negotiations with Germany to reach a government-to-government agreement, and when that accord is reached, Oslo will start talks with TKMS, the Norwegian defense ministry said. "After a comprehensive evaluation process, the Norwegian government decided on Germany as strategic partner for new submarines," the Norwegian ministry said. "The partnership is based on a German-Norwegian common purchase and lifetime management of identical, new submarines," the ministry added. Officials are expected to release more details about the deal to the Storting, the national parliament, and the Committee on Foreign Affairs and Defense over the coming weeks. The MoD has so far not disclosed the financial terms or provided a cost breakdown. Opposition parties in the Storting are certain to grill the government on the selection process and costs. The submarine fleet modernization program will be the second-largest acquisition in the Norwegian defense budget after the F-35 joint strike Fighter. Norwegian Defense Minister Ine Eriksen Søreide confirmed that formal contracts with TKMS are scheduled to be signed in 2019. She did not expand on reasons why Norway picked TKMS over DCNS. "We see cooperation and joint purchasing with Germany are the best choices," said Søreide. Norway's submarine fleet modernization plan aims to replace the Navy's six aging German-built, Ula-class vessels that entered service between 1989 and 1992. With additional reporting by Gerard O'Dwyer.